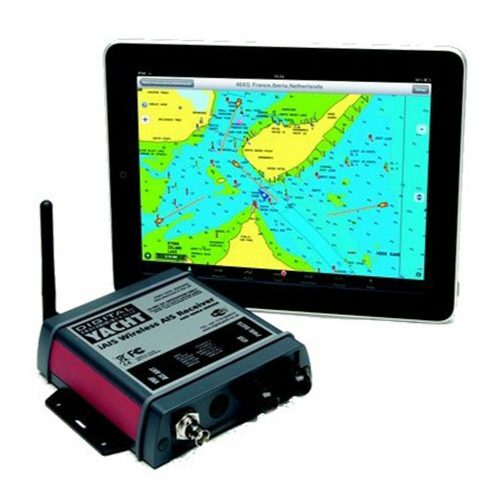 Our proAIS2 software for configuring and checking our latest generation of AIS transponders is a useful tool, but only being Windows and Mac compatible, it does have its limitations. With this in mind, we have developed an Android App that allows you to do pretty much everything that proAIS2 does, but wirelessly from your Android Smart Phone or Tablet. 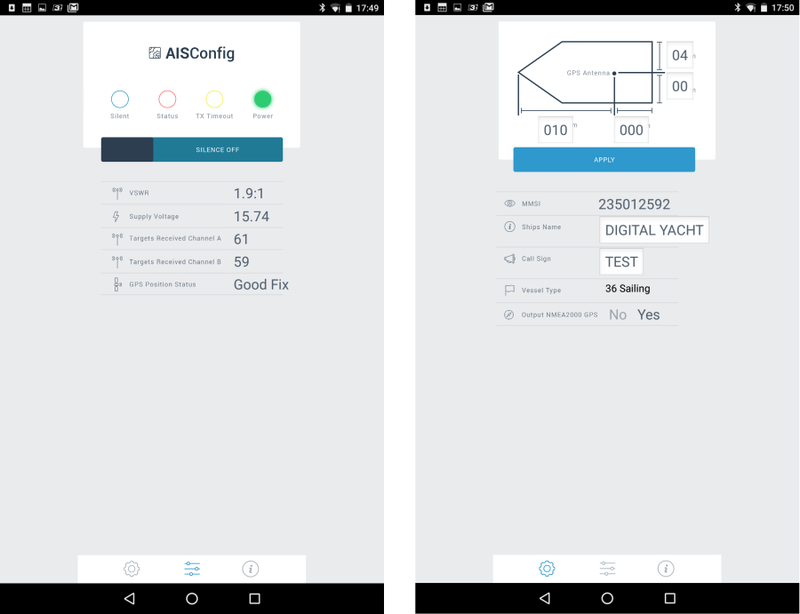 AISConfig allows your mobile Android phone or tablet to wirelessly connect to the latest range of Digital Yacht Class B AIS Transponders; AIT1500, AIT2000 and AIT3000. Once connected, AISConfig can be used to configure the boat details (MMSI number, Boat Name, etc.) in to the transponder and then to monitor the status of the transponder or switch it in ond out of “Silent Mode”. 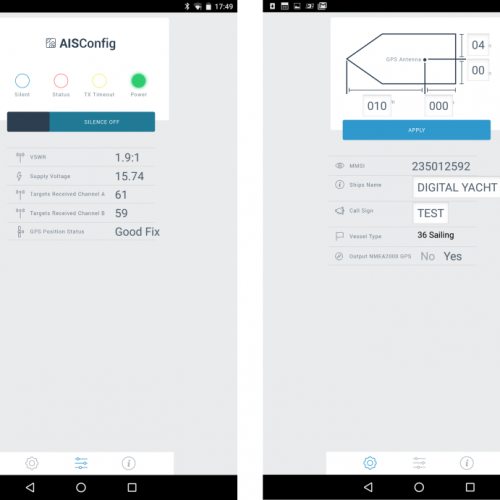 AISConfig is perfect for Digital Yacht’s premium AIT3000 unit, which features an internal Wi-Fi server, but it can also be used with the AIT1500 and AIT2000 transponders, in conjunction with one of Digital Yacht’s WLN10HS or WLN20 wireless NMEA servers. 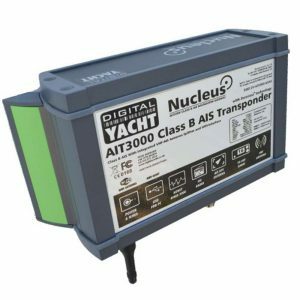 AISConfig cannot be used with Digital Yacht’s older AIT250 and AIT1000 transponders or with the AIT1500N2K unit.